“This is a true account of some of Ruth Reichl’s adventures as a restaurant critic for The New York Times. Fun to read and informative, it includes some wonderful recipes. Some of the questions we discussed include: How do women decide when to work and when to stay home? How do they decide when to be done with a particular aspect of their career? How was the author able to “become” another person once she was in disguise? Would any of us be able to do that? 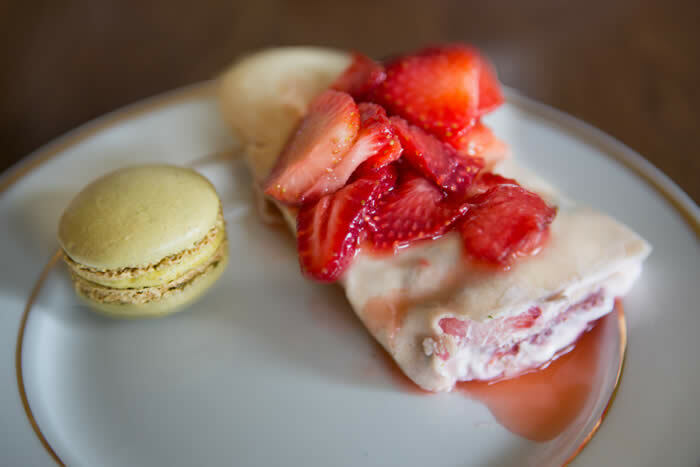 Did the author’s very unconventional upbringing make a difference in how she approached food, her enjoyment of exotic foods, and the way she wrote about the restaurants? “This book has it all: sisters, friends, locations, romance, adventure, intrigue. But most of all it causes readers to wonder the whys and what ifs of life itself. Susan Rebecca White gives readers two teen sisters suddenly orphaned by a small plane accident that occurs when their parents take a rare getaway vacation. The two, always inseparable, become everything to one another and then are split to different families, distant states as required by the parents’ will. “This slim novel is a powerful story about the choices we make and how our decisions tilt our world. When the main character, a family court judge, is stunned by her husband’s confession, her ordered world takes a turn and she is forced to confront the messiness of adult life, all as she faces a troubling, sensitive case in her courtroom. How the two worlds converge is the crux of this expertly crafted tale. “Amoz Oz’s family history encapsulates the European and Israeli Jewish experience since the 1880s. Additionally it enlightens readers about the impact of mental illness, particularly if the mother is not well, on a family. relationships to each other and daily interactions were fictionalized. “For one member of our group, a dance teacher, the ballet terminology was especially fun to read and share with the group. She and her daughter had seen Degas’ original wax, fabric, and hair statuette in Paris, and a show at the Paris Opera Ballet. The descriptions in the book brought back visions of its beauty. “We examined a framed poster of ‘The Little Dancer’ at our meeting and read passages from Amy Littlesugar’s Marie in Fourth Position, a young readers book about Marie and the Degas sculpture. 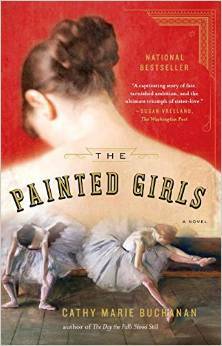 Littlesugar’s book helped us to recall details of The Painted Girls. “The latest from award-winning author Helen Humphreys. 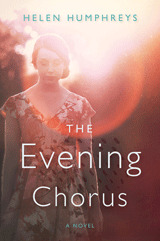 The Evening Chorus, is a lyrical, riveting wartime love story that follows James, a pilot struggling to survive in a POW camp, his young war-bride, Rose, back in England trying to make sense of her life, and James’s sister, Enid, whose own story is also rewritten by the tragedies of WWII. Amid war’s privations, these characters will find liberty and discover confinements that come with peace. “As a book club of school nurses, we found Wonder, about a ten-year-old boy with a facial deformity that causes others to avoid him, to be one of the best books we have read! The cast of characters related to our school nursing practices so realistically, and having the book told from Auggie’s perspective was an eye opening experience for us. Our book club discussed how Auggie’s severe facial deformity brought out all kinds of behaviors and emotions — from both children and adults. People always say that ‘kids can be cruel’ and yes, that is true. However, kids can also rise above and show kindness that is pure and unsolicited. This book shows both sides of that spectrum. “Yates’ 1963 classic shows a young glamorous couple, the Wheelers, who relocate from New York City to the suburbs and how the move exposes the fault lines in their marriage and themselves. “Maum’s hilarious contemporary novel—a debut in 2014—features a hapless British artist trying to win back his French wife after he was unfaithful.